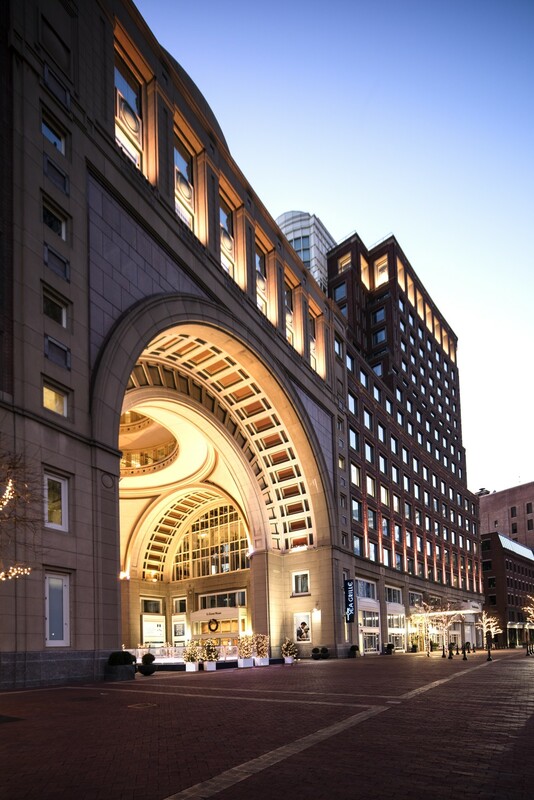 The Boston Harbor Hotel is Forbes’ only five-star waterfront hotel, welcoming guests by land or by sea. Lumenbeam Large RGBW luminaires are installed inside of the dome, lighting up, with standard or full snoots to prevent glare. The outdoor pavilion is lit by Lumenbeam and Lumenbeam Large luminaires, which are mounted before the green dome. The archway before entering the dome is lit with Lumenfacade Remote fixtures on each side of the arch. 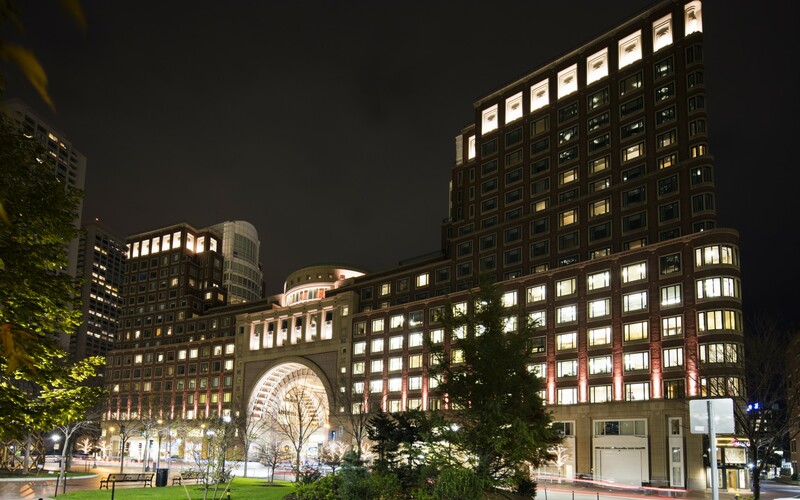 Lumenfacade Horizontal RGBW fixtures are situated on the upper facade on both sides, and installed in the medallions at the top of the building. 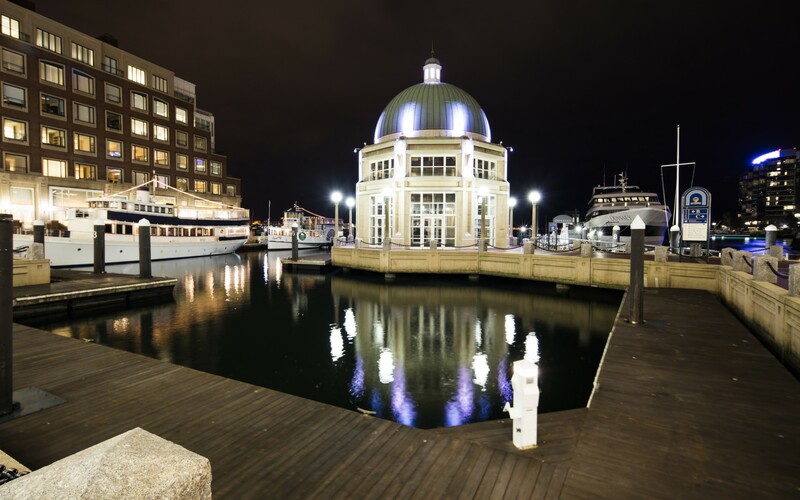 The new lighting design is turning the revamped hotel into a shining beacon of light on the harbor. 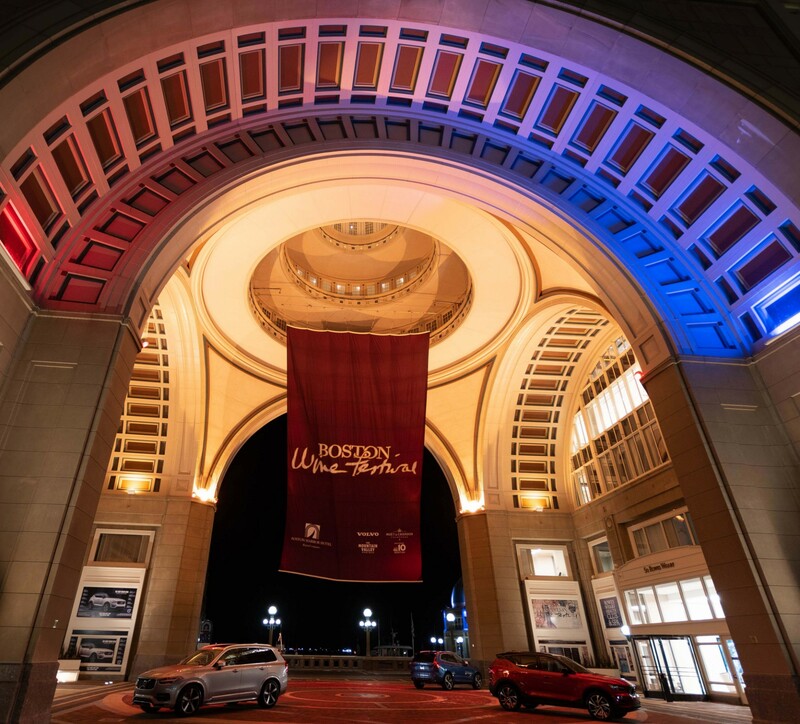 Lighting Design Collaborative chose a mix of color changing Lumenbeam and Lumenfacade luminaires to light the exterior of the hotel and its pavilion, allowing the creation of various colored designs to fit any event. 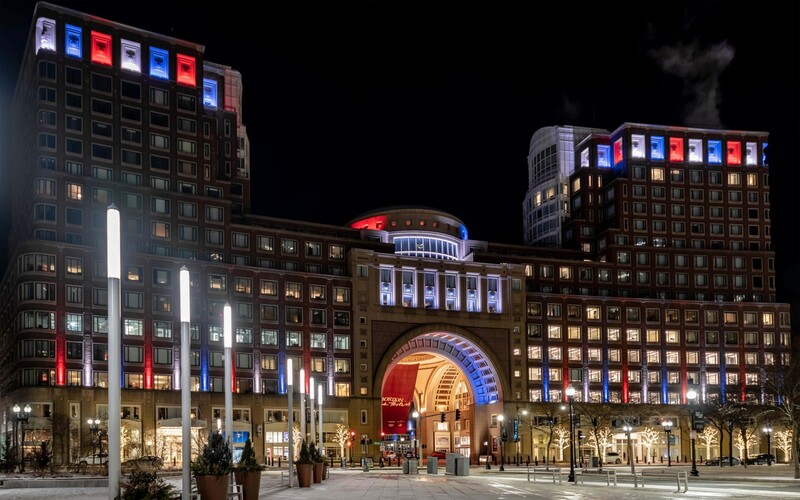 Lumenpulse had color changing luminaires that not only saved energy and wiring, but also gave the client an opportunity to change the colors of the facade based upon varying venues. 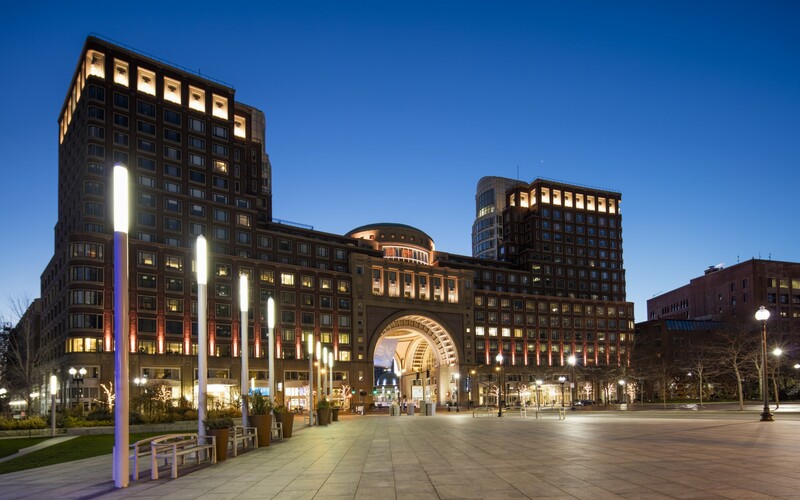 Located on the historic Rowes Wharf Harbor, the Boston Harbor Hotel is Forbes' only five-star waterfront hotel, welcoming guests by land or sea. 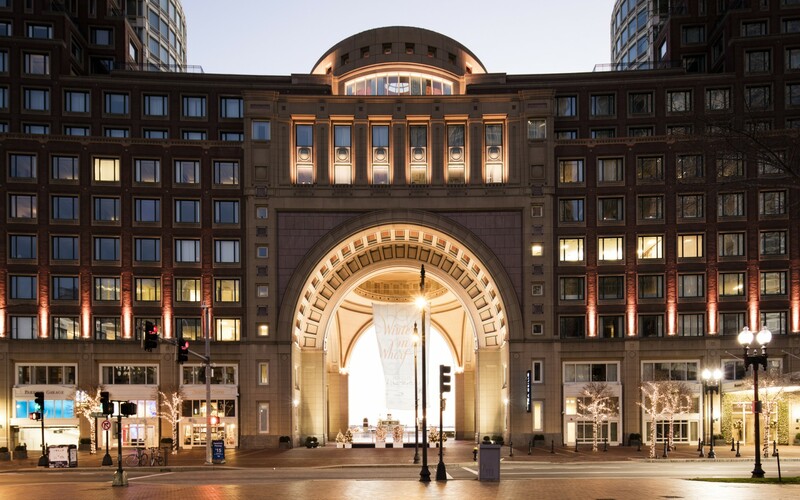 After four years of renovation in darkness, the Pyramid Hotel Group, which manages the hotel, wanted to illuminate the facade for the first time. The clients wished to have a dynamic lighting concept to bring the hotel's façade to life for a variety of occasions, such as weddings and promotional events. To achieve this, The Pyramid Hotel Group reached out to John Sarkioglu, Principal Lighting Designer at Lighting Design Collaborative. 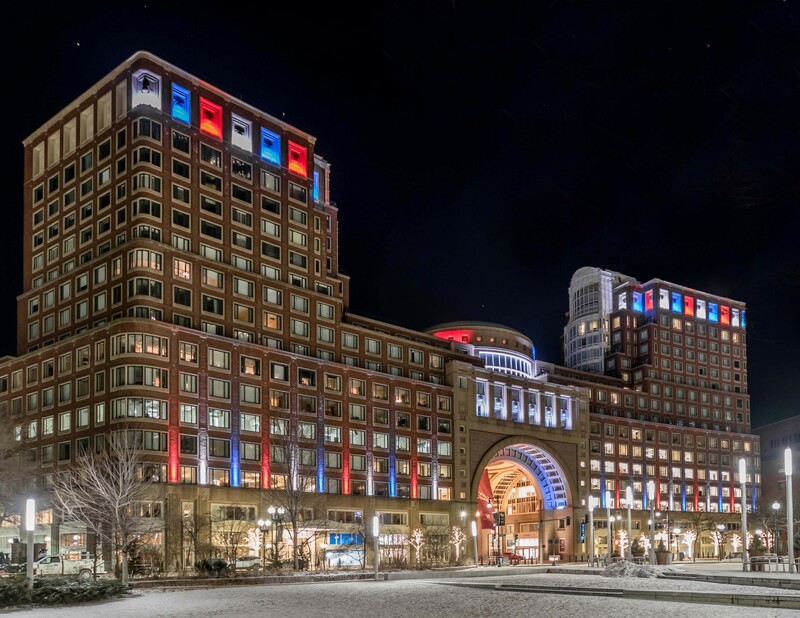 They then chose a mix of color changing Lumenbeam and Lumenfacade luminaires to light the hotel's exterior and its pavilion, allowing a variety of colored dynamic designs to be programmed for special events. "The latest advancements with LED technology allowed us to upgrade the original lighting plan, which had originally been thought out with small HID fixtures," said Sarkioglu. "The lighting optics of the fixtures was of great importance to us because we had to avoid light spills into the guests' bedrooms. 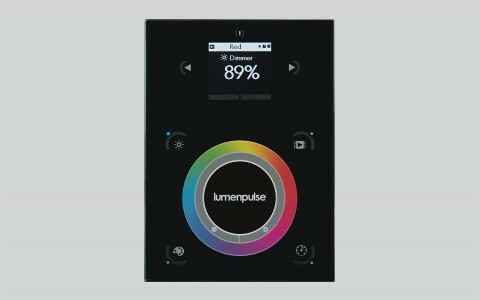 Lumenpulse's luminaires were chosen for their construction, optics and flexibility. 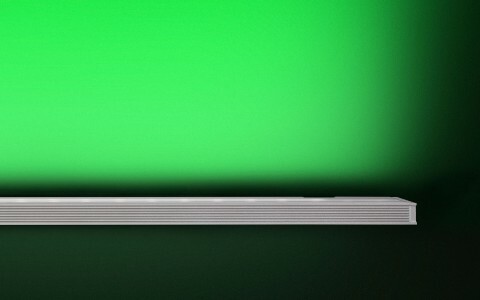 They've enabled us to precisely control the light beams, avoiding light spills." 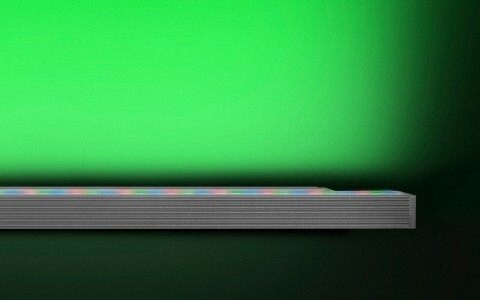 The Lumenfacade Horizontal RGBW fixtures with 30 x 60 optics were chosen in order to grant the best coverage possible. They are on the upper facade on both sides, and some were installed discreetly in the medallions at the top of the building. The archway before entering the dome is lit with Lumenfacade Remote, with fixtures on each side of the arch. 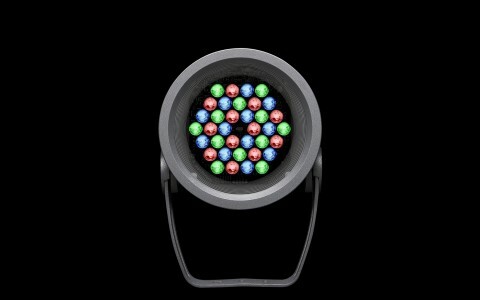 Lumenbeam Large RGBW luminaires are installed inside the dome, lighting up with standard or full snoots to prevent glare. 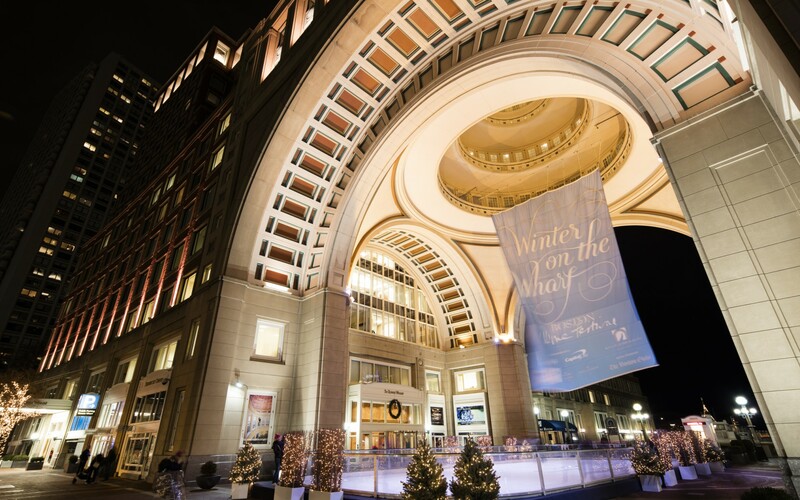 They light the pathways and, in the winter, the skating rink under the dome. 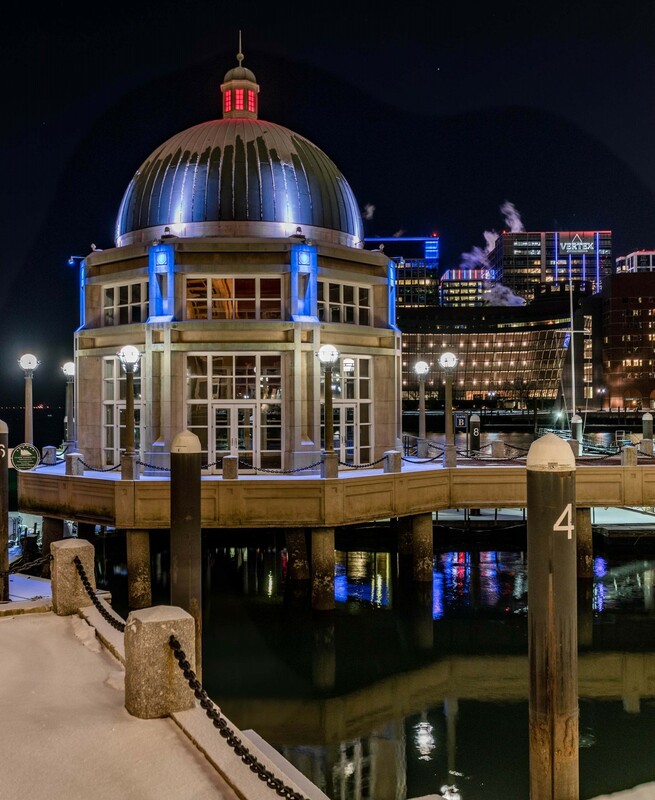 The new lighting design helped turn the revamped hotel into a shining beacon of light on the harbor.